It’s hard to predict what events will impact a person’s life most. For Brad, an accident during his teen years planted a seed that eventually grew into a fulfilling career. Dr. Moss recalled, “I was a pole-vaulter in high school. After clearing my personal-best height of 13 feet 6 inches, I landed wrong on the mat and nearly bit off my tongue.” After many stitches and weeks with a swollen tongue, it eventually healed. But Brad walked away with a new perspective on the ability to communicate. Dr. Moss has had the privilege of treating patients for over 27 years and is humbled when he gets the chance to care for patients who return for care, even after they’ve moved out of state. Dr. Moss believes that the patient/doctor relationship is one built on mutual respect. This begins with respecting his patients’ time, taking the time to discover all his patients’ concerns, honoring their treatment choices and providing their care in the most compassionate way possible. His patients’ comfort during treatment is his top priority. Dr. Moss truly enjoys meeting his new patients and spending the time getting to know them, then partnering with them for a lifetime of optimum oral health. 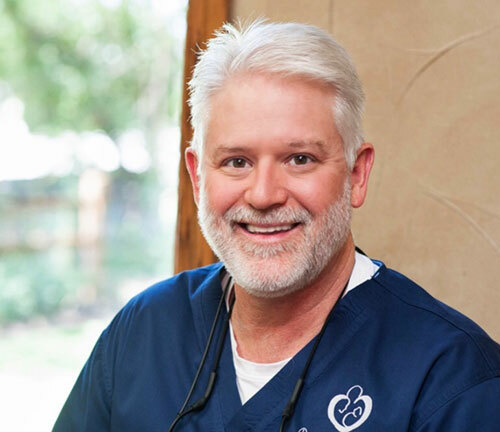 Dr. Moss has been practicing dentistry at his current location in Southlake, TX for over 27 years. He received his bachelor’s degree from Baylor University in his hometown of Waco. He graduated with honors, receiving his Doctorate in Dental Surgery from the University of Texas Dental School in San Antonio. He’s a lifelong student and regularly attends continuing education courses to constantly provide his patients with the best possible treatment options. Dr. Moss and his wife, Polly, reside in Keller and enjoy family, outdoor activities, and traveling. 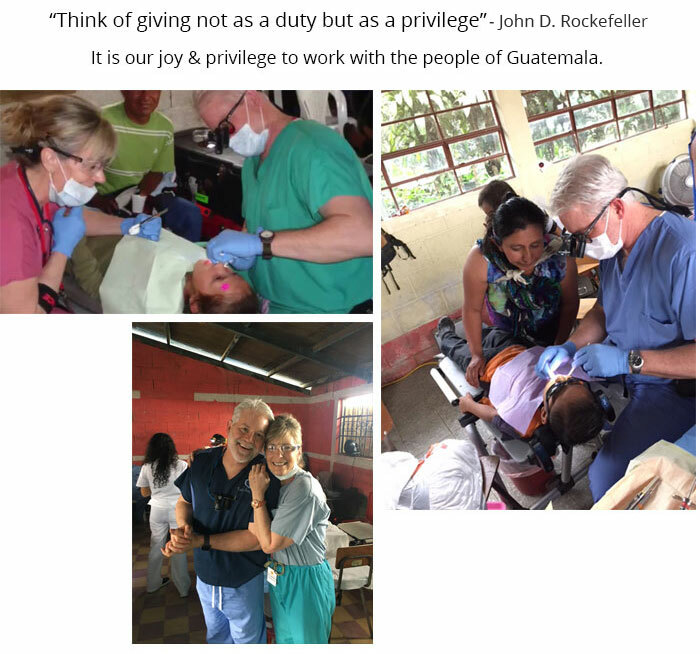 Dr. Moss and Polly, a registered nurse, are members of a team called Faith in Practice, a medical mission group that travels to remote villages in Guatemala providing dentistry and medical care to under served people there. They’ve made multiple mission trips with the Chenault team out of Houston. The Mosses have three grown children, and it has become apparent that science careers run in the family. Jacob, their eldest, is a clinical laboratory scientist living in Colorado with his wife, Stephanie, and new daughter, Bonnie. Maggie is an ER nurse engaged to Sean. They both live in Fort Worth. Elly, their youngest, is a physician assistant living in Colorado with her husband, Evan.